This is a NON SCBWI event. However, SCBWI members will receive a $50 discount for the registration. 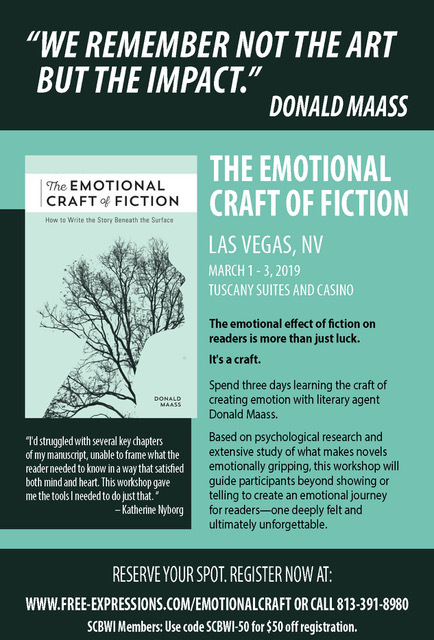 We are promoting this event because it is one of the events NV SCBWI will not offer AND we believe this workshop to offer quality instruction. Cynthia Mun has attended a workshop by Donald Maass in the past and one by Free Expressions. This event is for all writers, not just children’s. Please register directly at Free Expressions below.